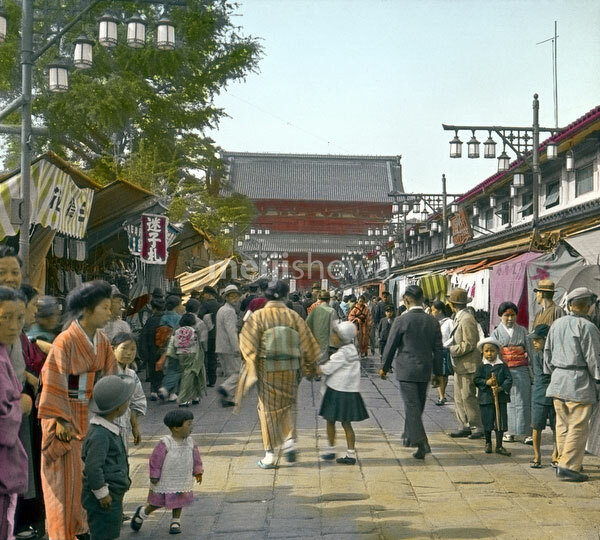 A crowd walks past the Nakamise souvenir shops along the approach to the Buddhist temple Sensoji (金龍山浅草寺) in Asakusa, Tokyo in May 1934. Most men and even the children already wear Western clothing; the women still wear kimono. In the back, the Hozomon Gate can be seen. See blog entry.